A peppy shade card of indigo, ecru, mustard and red paints this contemporary spring summer line inspired by Khadi. 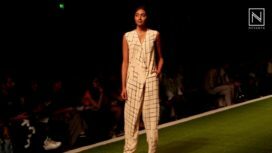 At the Amazon India Fashion Week SS'16, fashion designers Shani Himanshu and Smita Singh Rathore from the label 11:11/Eleven Eleven play with construction and finishing on solid fabrics. Inside fabrics are deliberately placed outside revealing forms of construction. 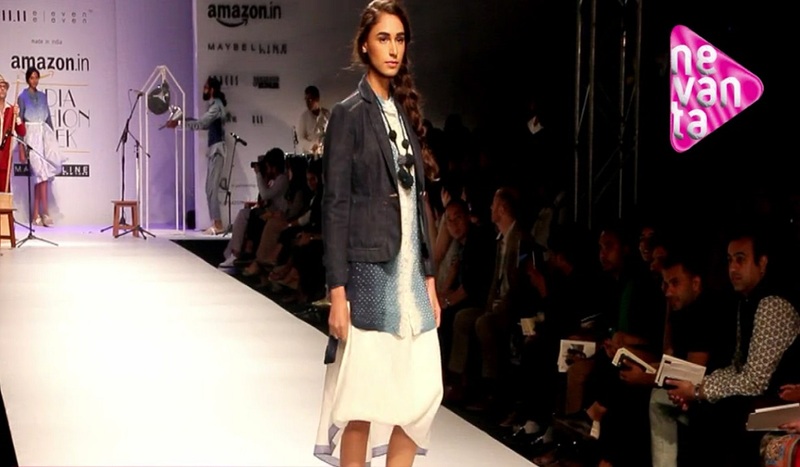 The versatile separates looked great on the runway and Khadi gets a transformation like never before. Here's a quick click!